People looking to travel to Brazil or Portugal often seek a fast way to learn Portuguese. 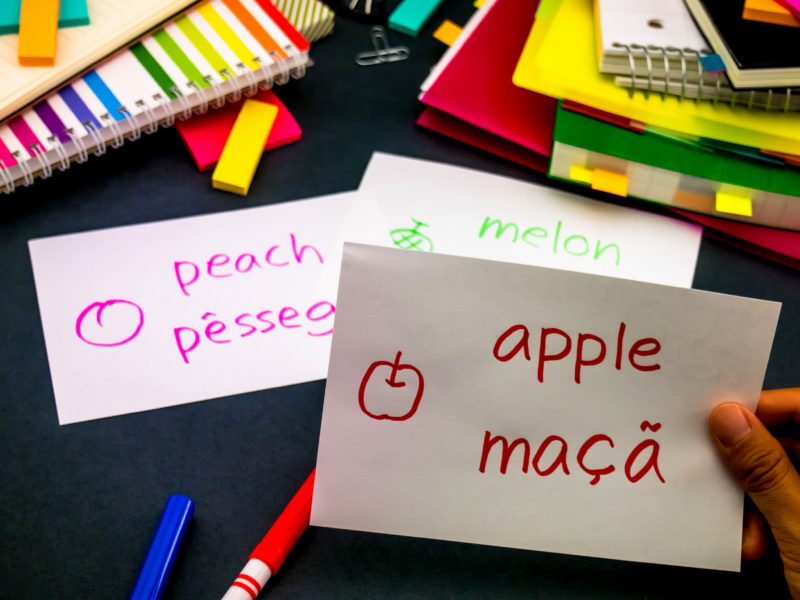 There are some tricks to rapidly learning this language so that you can enjoy your trip by being able to communicate with the locals, order at restaurants confidently, and overall have a better time. There are two dialects of Portuguese. The people in Portugal speak a more neutral accent of this language. The people in Brazil have a much thicker accent. For this reason, you should learn the Brazilian version because it allows you to understand others whether they are from Portugal or Brazil. If you learn the Portugal pronunciations you will have a pretty difficult time understanding Brazilians. No matter where you are in the world you have access to Brazilian music sung in Portuguese. If someone asks what is the fastest way to learn Portuguese then listening to Brazilian music is going to be a really good answer. Whether you enjoy jazz, rock, samba, funk carioca, bossa nova, or other forms of Brazilian music you will find something you enjoy and that helps you learn the language. You should start out with slower forms of music when you’re just starting out learning Portuguese. This will allow you time to understand what is being said. Later on, you can advance to quicker types of music. You should also really listen to the music and not just have it on as background music. By paying attention to the lyrics while listening to Brazilian music you will increase your vocabulary, build your oral comprehension, improve how you pronounce the words, and figure out how to correctly structure a sentence. A good resource for listening to Brazilian music is YouTube where you can search for the name of the song and type in + lyrics. This will really help you learn the Portuguese language at an accelerated rate. A fast way to learn Portuguese is by watching Brazilian tv shows and movies. This is a great way to learn how Brazilians speak in the real world including slang language and other idioms. You will familiarize yourself with the Brazilian accent of Portuguese and it really helps to build a rich vocabulary. You should turn on the English subtitles when watching Brazilian programming. This will support your learning of the language and help you follow what is being said. Eventually, you will be able to turn off the subtitles and have a great understanding of what the actors are speaking about. While sentences are of course made up of words it is by paying attention to entire sentences first and foremost that you really understand a language. By trying to follow whole sentences you will speed up your learning process and comprehension. When people are learning any language they are taught simple things to say like, “My name is Bob”, or “I’m from Seattle”. This leads to more complex sentences that can be used in other circumstances. Before you travel to Brazil or Portugal learn some complex sentences like, “I need to book a hotel room for two people.” and “Where is the nearest restaurant?” You can get by without learning grammar rules and conjugation by learning complex sentences although learning the rules certainly helps. There are programs you can download that teach you the phrases you will most likely need while traveling in a Portuguese speaking nation. An example of this is MosaLingua which is an app filled with help Portuguese phrases. This is a conversation guide with a supporting YouTube channel that you can download to your mobile device. The Chrome browser has a very useful extension when it comes to learning a new language. Look for Language Immersion for Chrome which will convert everything you read in the browser to the language of your choice, such as Portuguese. Spend time on the internet using this extension each day which will fully immerse you in this language. When it comes to what is the fastest way to learn Portuguese full immersion is going to accelerate your learning because it forces you to not rely on English translations. You are going to need to set aside some time every day if you want to quickly learn a language including Portuguese. You, of course, aren’t going to learn some words and phrases and then be able to communicate effectively with someone in Brazil or Portugal. If you want to get the words and phrases into your long term memory than it calls for a lot of repetition and reviewing what you have learned. You shouldn’t skip days when you want to quickly learn a language. It is by learning a little bit each day that you make great progress. This keeps you often thinking about the language which helps store it in your mind. The other problem with taking days off is that it can quickly lead to not just a day off but then a few days, then a week, and the next thing you know you’re not making any progress and in fact forgetting what you have already learned. As mentioned, the MosaLingua app is a great resource for learning Portuguese. This app will really help with your listening comprehension and how to properly speak words and sentences. It has over 3,600 words and phrases in Portuguese for you to learn. By memorizing them and then repeating them over and over you will stick them in your long term memory so that once you’re in Brazil or Portugal you will feel comfortable speaking their language. In addition to hearing the words and sentences in audio, the app also shows you how they are written. As you progress through the app you can score more than 200 bonus words and phrases which serves as rewards. You will enrich your Portuguese vocabulary and also learn all of the rules when it comes to conjugation and using proper grammar.